The store at County Shores offers a full line of Bait and Tackle as well as Marine and RV Supplies and Fishing Licenses. 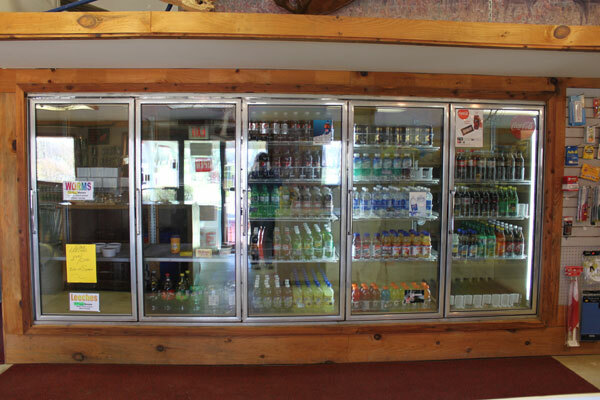 In addition, we serve Hot Coffee every morning and have a large selection of Convenience Groceries and Dairy Products. Looking for local, farm fresh products? We have got you covered... we sell Farm Fresh Eggs, Farm Raised Chickens, Fresh Maple Syrup, Fresh Vegetables, and much more all produced right at County Shores. Click here for our Store Hours and read below for more details. 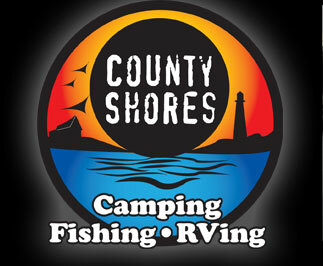 County Shores is a fully Licensed Bait Dealer able to sell bait to both our camper guests and the general public. During the winter months, County Shores carries a full line of minnows including small to large size Mud Minnows along with small and large Shiners. During the summer months we carry Night Crawler Worms and Leeches and offer small to medium Mud Minnows for the first month or so of the fishing season. 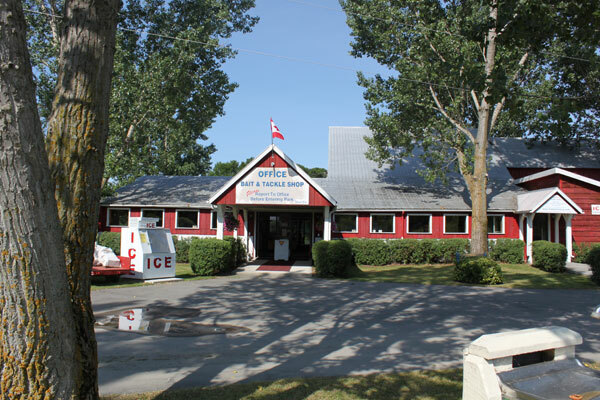 County Shores carries all the popular brands of Tackle for Walleye, Bass and Pike fishing on the Bay of Quinte. We have a large selection of Rapala, Cotton Cordell, Mepps, Blue Fox, Panther Martin, Berkley, Baker Baits and Jiggernaut Tackle. We carry a large assortment of South Bend Terminal Tackle and have one of the largest selections of worm rigs and harnesses in the Quinte area. Recently we have also become an authorized dealer of Wake Fishing Tackle from Finland – a must see for any angler! County Shores carries a wide range of Coke and Pepsi products, along with chocolate bars, chips, bread, milk and common dairy products along with a wide variety of grocery items to save you a trip to the grocery store. We also sell garbage bag tags, ice, bottled water and fire wood. County Shores is a fully authorized License issuer with the Ontario Ministry of Natural Resources. We can provide both hunting and fishing licenses to both residents and non residents at our new electronic license terminal. You can get more information on the Ministry's website at http://www.ontario.ca/ministry-natural-resources-and-forestry. County Shores carries a wide variety of marine and RV parts to get you fixed up quickly and back camping or boating. County Shores is also an authorized Interstate Battery dealer.